there are a few things that I am bringing back up that I have mentioned a lot recently – to aid a musician and make them more illuminating to the public. I will talk about information and painting a picture of the artist; a look at the ones to watch in 2019 and which artists are really worth investigating; heading out of London and looking at a Dublin-raised artist; being a complete package and formed in a busy market; how things might change in 2019 – I will end by looking at Dermot Kennedy and what his year has in store. This year is about change for me. I am getting a load of emails every day from agencies/artists that are all asking for reviews and interviews. These are the same sort of people I have dealt with in the past few years but, now that I have been doing this for seven years, one cannot keep doing the same thing and focusing on the very small acts – it might be a boost for them but if you are a journalist that is not being ambitious and writing about what you want to then others will overtake you. I am very aware of the music I want to feature and the status of the artist I want to spotlight – closer to the mainstream and with a larger number of fans at their feet. It is getting to the point where I am not interested in the tinier acts who are coming through and do yearn for the more substantial and interesting. This is why I was attracted to Dermot Kennedy’s new music and wanted to follow him. I will look at his new release in a minute but the man is being tipped for greatness by a lot of different people out there. One can attribute so many positives to the man and he has a lot going for him. There is one thing I want to bring to the fore. So many artists are being backed for success but I wonder how much we know about them. This is a common complaint I have but, for a meaty review, I need to know quite a bit. On record, Kennedy is a lot different to many out there and shines but there is not a lot on paper. I know a bit about his latest single but what about the man himself?! So many artists leave a lot left aside and you do struggle to pen some words. I wanted to write about Kennedy as he is an interesting artist but I do wonder which acts he is inspired by and more about him. I do sort of want to know what his early life was like and the music he was raised on; how he approaches songwriting and more about what drives him. It is great to write about him but I do sort of need that U.S.P. and some other angles I can work from that differentiates him from everyone else. The music is great but I know Kennedy has conducted interviews. Bringing that into his social media and having them all easily available would be an advantage. So many acts just have a social media page and no biographical information. So many potential fans are going to skip by because there is not a lot of information to go from. I might navigate his way but then there is that need to find out more and dig deeper. As I said, so many are doing it and I wonder whether artists need to be more personal and revealing. I am not suggesting they give it all away but some words about who they are and where they are heading would be beneficial. Can we get all the information needed from the music and have out questions answered? I think Kennedy is a great songwriter but I am still curious as to his music and how he provides this unique edge. This year is fairly fresh and we are looking out at the artists who might make waves. I think the predictions from sources such as the BBC are strong and we are getting an impression of what to expect through 2019. There is always a bit of scepticism regarding these lists and whether all the artists mentioned ae actually worth sticking with. I do feel music is broad and you cannot narrow down to a few names when it comes to defining the sound of a particular year. One reason why I think Dermot Kennedy is worth the kudos and energy is because he has a natural gift for songwriting. There are many artists out there splicing genres and throwing in these unusual sounds but there is simplicity to Kennedy that resonates. This is not to say he lacks complexity but his music does not need to rely on tricks and too much activity to get into the heart. I think the songwriters who will make a mark this year are the ones who can get into the mind with ease but have a sense of hope. You can talk about love and loss all you want but it seems to be the stock for a lot of artists. This can be quite depressing and we do need musicians to bring some cheer. Kennedy is someone who can balance the introspective and outward and has this great sound. It is hard to distil what makes the music shine but it is the charisma, confidence and intuitive spirit of the songwriter. He knows how to write a solid song and puts his personality into every line. 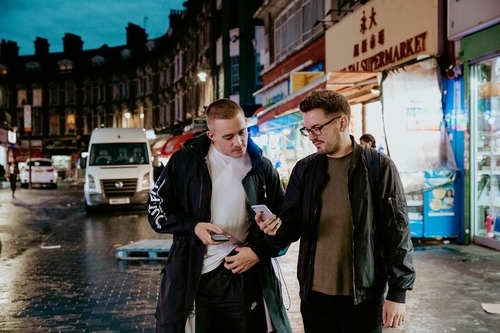 I think Dermot Kennedy is someone who defines what we need in 2019: a solid and interesting songwriter who has a varied sound and a big personality. It is hard to sustain the public interest and keep ears hungry right the way through the year. Many artists sort of intrigue at first and then that appeal can wane as time goes on. I do feel there is this trend in the media to rave about an artist because they are a little different and edgy and that aspect can sort of grate. I am not pointing the finger at any artist tipped this year but I am not entirely sure all of the names recommended by the media will remain and surprise. Dermot Kennedy is a solid bet because he is a classic songwriter and someone who continues to evolve. I have been following his music for a little bit now and can see how he has grown and what he is bringing into the mix. His confidence is rising and every song seems to see him get stronger. I am confident the Irish songwriter will continue to bloom and take his music in new directions. One does not require anything too explosive or radical from Kennedy but, from each song, you notice the growth and something special. For Island Fires and Family is a song from his back catalogue and you can tell how much it means to him. I do hear there might be a debut album later in the year and it will be interesting to see what songs make up the collection. The popularity and the support Kennedy is getting from all around the world makes it clear he is a rising star and someone who can endure for many years to come. I am glad I get to support an artist who started life outside of the U.K. That might sound like an odd declaration but I have spent a lot of time featuring London artists and think it is time to get out and focus on acts from different parts of the world. I am focusing on a Welsh artist tomorrow and it is good to look at a great Irish musician. I am not certain whether Kennedy is planning on moving and whether he will base himself in the U.S. or U.K. soon but I get the chance to look at Dublin and a city that continues to spawn great musicians. Through the years, Dublin has produced some cracking acts like U2 and My Bloody Valentine but its reputation and influence is not consigned to history. It does not get the same sort of attention as London and the music scene might not be as busy but that is not to say we should ignore Dublin. It is a complex, rich and colourful city that has always provoked fantastic creativity. I do think the media overlooks the city and assumes all the great sounds are coming from the U.K. In fact, even Scotland does not get the same focus and here is another part of the world overflowing with terrific music. I think Dublin’s people and character leads to this flavoursome and colourful music. Maybe it has always been this way but I notice something in Dublin you do not get from anywhere else. It is a sense of grace and beauty that seems natural; a way of songwriting and performance that sets Dublin aside. It is tricky explaining but I know the people of Dublin are very warm and witty and that sort of feeds into the music. The city mixes the modern and historic and you get a great clash. It has a sense of calm to it but, like every capital city, it is busy and has plenty of tourists. I think we should all spend more time looking at Dublin music because there are some great local artists emerging. It is hard to get big attention because the media often looks at other areas. I think, in order for music to be broad and fair, we need to concentrate on cities like Dublin and what is coming from there. I will move on to new areas in a second but I want to stick with that idea of area and location. I feel Kennedy might relocate when he becomes even bigger but I think his Dublin roots serve him well. Maybe it is me reaching a bit but I think he has a spark and way of working that is very particular to where he comes from and the people he grew up around. I love what he is throwing out into the world and here is an artist who can go a long way. What happens when he does explode and there is even more celebration? I feel Dublin is a wonderful city to play in but can you sustain a long career and get all the attention you need if you remain there? I do feel Kennedy is someone who might move to the U.S. in years to come. This might seem random but I am seeing a lot of musicians move from the U.K. and base themselves in cities like Los Angeles and New York. Not only do you get a bigger crowd and more focus but there are a lot more musicians/sounds around you to draw from. It is clear Kennedy is one of the most promising artists of this year and his name continues to rise. I will end by looking at his gig schedule and popularity and soon enough he will have to think about the long-term. I love Dublin and its music and feel Kennedy can owe a lot of his success to where he comes from and the people around him. The need to spread wings and go somewhere bigger might creep into his mind. The music he is releasing is fantastic and I feel it suited for a huge market. Maybe he is happy where is for now but this is an artist who will become a big star and I can imagine him moving on and settling in another country. Dublin, mind, is a glorious part of him and he is helping raise awareness for the fantastic musicians who are playing there. I do still feel the media needs to give more support to Irish artists so they do not have to relocate and struggle to gain traction. Your man Kennedy seems to be this complete artist who ticks all the boxes. I have discussed how I would like to see more information about him and that all holds true – I can imagine his early life was filled with music and I would like to know how he got into the industry. That being said, it is clear Kennedy is not your average artist who is learning as he goes along. He is not quite at his peak yet but the man has this sense of self and confidence that comes through in the music. He is an interesting character in interviews and his stage performances have been lauded. I encounter so many artists who lack something and do not really spark. Maybe their songwriting is a bit predictable or they are not the most captivating performer. Kennedy’s popularity is no fluke and he is someone who can go on and on. His music has a personal touch and comes from his heart but it is accessible and universal enough to speak to the world and make a mark. He is a great live performer who can produce this big show and connect with his crowd. That sense of completeness and quality goes into music videos, too. The shoot for his new single, For Island Fires and Family, was shot on location Inis Mór - one of the famous Aran Islands off the west coast of Ireland. This is the very same location Kennedy refers to in the track’s title. This place is very important to Kennedy and he was keen to film the video there. I have sort of omiited the fact Kennedy has released his debut album, Dermot Kennedy, and that is out in the ether. That came out on 4th January and picked up some positive reviews. It is rare for artists to release albums in January – many wait until the weather gets warmer – but Kennedy was not wasting any time! I wanted to feature the single so I can into depth more but I recommend you check his album out! There are a lot of reasons to listen to For Island Fires and Family. It is a song that gets to you right from the off. It is a passionate song and, whilst Kennedy has produced more energised examples, this one comes right from the soul. He imagines what it might be like to be a bird, flying over the sea with nations underneath him. You get an instant sense of movement and that flight. The words are delivered with a sense of gravitas and intensity; there is a weight behind the voice that makes you tremble and definitely stops you still. It is a potent voice and, whilst some might compare it to singers like George Ezra, I think Kennedy is more soulful and has more in common with artists of the past – I think we all too often make lazy comparisons. There is little accompaniment and this allows the voice to stretch, campaign and seduce. It is a powerful performance for sure. We get backing vocals arranged in a choral style – that remind me a bit of James Blake – and the sheer potency of Kennedy’s voice makes the words striking and huge. He has a rawness that powers through and it seems like there is this love that has gone wrong. One of my aims for this year is to focus on music that is more positive and strays away from love but I am making an exception today. It seems the hero has made some apologies and concessions but the girl is not giving him time. Perhaps they have been together a long time but things have taken a turn. It is hard to get beyond the sheer weight and power of the delivery and how it gets into the mind. We have many great singers in music but few of them can match the muscle, soul and gravel of Dermot Kennedy. I do like how the background is quite sparse and there is that concentration on the foreground and this very evocative delivery. Maybe my viewpoint regarding a sour love was a bit premature. Kennedy talks of someone bringing the moon and stars and these great people in his life. It is not long before the delivery is more conversational and you get Kennedy’s accent coming through. The song becomes much more fulsome and interesting than it would if it were delivered in a rather plain American or English accent! Kennedy talks about the secret and sacred and the desire to walk on the rooftops and be free. The hero casts back to summertime and being in a full room; the girl the only one he smiles at and that connection being made. I wonder whether they have gone off the tracks but it is evident Kennedy has fond recollection of the time they met and that very meaningful time. Kennedy uses very personal and simple language to ensure the song gets into the head and we can all understand it. His potent delivery and use of language ensures For Island Fires and Family swims in the blood and hooks you in. I was walking in the song and seeing what was going down. It does seem the love was brief and it is not revealed why things went wrong. Kennedy switched between fondness and times good – when they were bonded and talked about everything – and the rather harsh nature of love. The vocal does change from the faster-paced and energised to a more gravelled and intense belt. It provides these two sides to the song and gives things mobility and emotion. I was wondering how things went wrong and whether they still talk. It is clear the hero is affected and does not want things to end but I do guess and conspire. Maybe it was only meant to be brief? The lyrics, actually, show much more originality and personality than what you get in the mainstream. Kennedy talks about the feeling of the heart bursting out the shirt and how it has happened before – it is happening more with this girl. It is a nice angle to approach heartache from and I do love the strong Irish accent giving a sense of beauty and power few songwriters can match. By the end of things, you feel for the hero and wonder whether reconciliation can be affected. He seems reigned to his lot and what the lovers had seemed very special. We have witnessed this very powerful and visual song – watch the video alongside if you can – and it sort of takes the breath away. I came back a few times to see if I could piece things together and speculate as to why the relationship fell apart. It does not seem to be a particularly awful and painful breakup in many ways but this loss has left a gap in his heart. I love Kennedy’s voice throughout and the fact it does switch between this immediate and urgent soulfulness to a more chatty, light and faster pace. It is not something you hear much in modern music and another reason why Kennedy stands aside. For Island Fires and Family stands out in its own right and tells a story but sounds different in the context of the album. 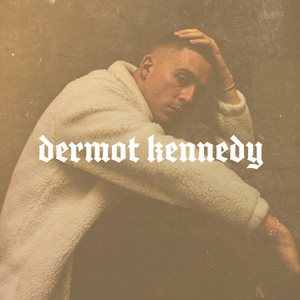 Listen to Dermot Kennedy and you can hear what else he has to offer but, if you want an introduction to the man, then this is a great place to start. There are more popular songs in his cannon – Power Over Me is one – but I have a soft spot for this track. It is a glorious, touching and brave song from someone who is getting a serious amount of respect. If he continues to write music like this then he could well find himself running shoulders with the biggest names in modern music. Dermot Kennedy has had quite a hectic and exciting past year. He has managed to come under the radar and gain all this new applause. People are predicting he will define 2019 and many know he will go a very long way. 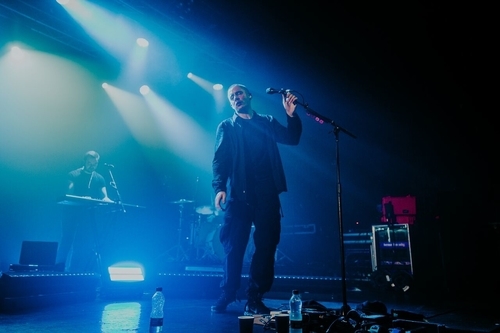 Kennedy announced a tour for May 2019 and it has already sold out. He goes to Dublin, London and Manchester and the tickets have been snapped up. Kennedy keeps on getting bigger and there are no signs to suggest he will slow down. I have speculated what he might do regarding material later in the year. He has introduced his eponymous album and, as I said, it has won a lot of praise. The fact critics are invested and can see this special artist is great. Maybe touring will get in the way and occupy his time but many will ask whether there are going to be more songs later in 2019. It is clear there will be no be a lot of moments to breathe between gigs so I have to wonder when we might see that new step. Digest and get involved with the debut album – as it is terrific – but I am already pumped to see where Kennedy might head and what he can follow it with. This might sound impatient and reckless but he has so many different sides to his songwriting and it will be interesting watching that blossom. I will end things soon but I am just excited to focus on a bigger name. I am not certain how the rest of my year will play out. It is clear I am not doing things the same way I have been and the idea of interviewing smaller acts no longer holds any excitement for me – there is a lot of frustration and, at the end of the day, it is not the music I want to include anymore. I am getting more ambitious and feel I am ready to highlight those artists who are more acclaimed and have more support behind them. TO catch him on the road.